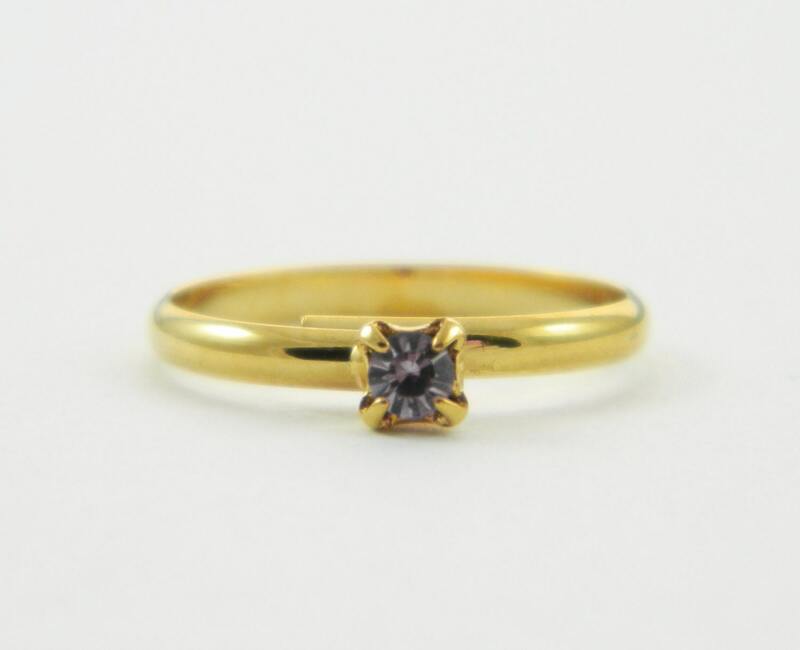 Tiny Adjustable Gold Tone Vintage Ring with Faux Amethyst. Small size is perfect for Midi Ring or Pinky Ring. Ring Size: Comfortably Adjustable from size 1.5 to 3.5. Material: Gold Plated Brass, Crystal.